Jim Kerr speaks at an Amazon Prime Video event for The Grand Tour at the Classic Car Club Manhattan on November 22, 2016 in New York City. Amazon.com on Wednesday launched its video-on-demand service, Prime Video, in nearly every country except China, pitting itself against video-streaming pioneer Netflix. Prime Video, home to popular shows such as “The Grand Tour,” “Transparent” and “The Man in the High Castle,” will now be bundled with Prime subscriptions in 19 countries including India, Canada, and France. In other new regions, Prime Video customers will have to pay $2.99 or 2.99 euros per month for the first six months, after which the price will be doubled to $5.99 or 5.99 euros. Amazon (amzn) has been spending heavily, sometimes at the cost of profits, on the creation and marketing of movies and TV shows. 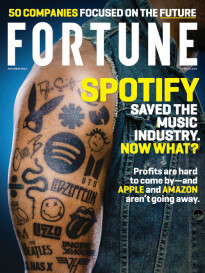 The company hopes that people will sign up for its Prime service to watch these videos—and in turn buy more goods from its online store to make the annual subscription worth it. 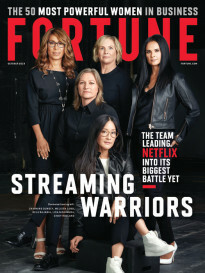 The Prime Video launch comes almost a year after Netflix (nflx) went global with its video-streaming service, rolling it out in more than 130 countries with the notable exception of China. Subscriptions for Netflix, known for shows such as “Stranger Things,” “Daredevil” and “Narcos,” start at $8.99.